While I am uncomfortable with my choice, I am not unhappy. I have a nagging feeling that this may in fact be the least important presidential election of my life. 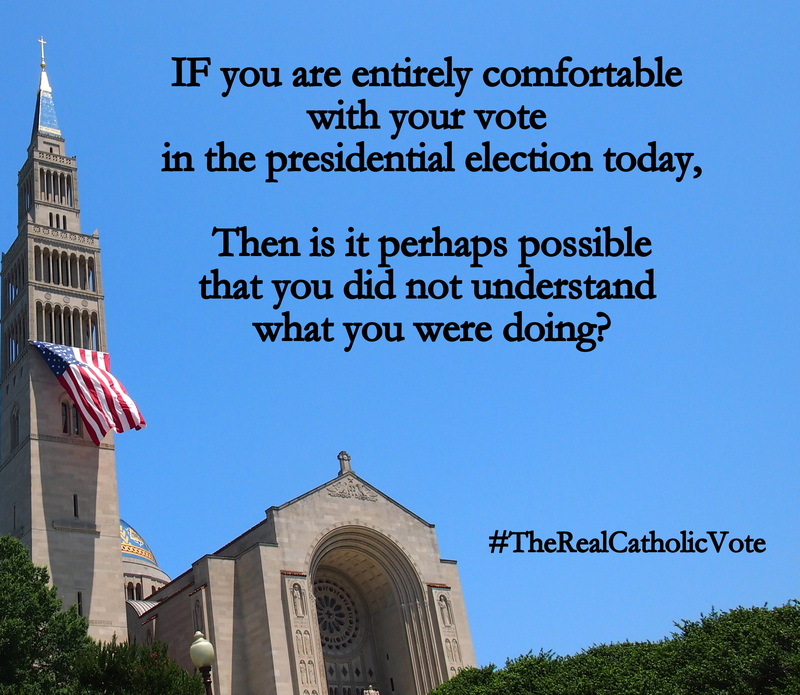 Thanks be to God, voting in the presidential election–especially in a very politically united state–is entirely a civic sacrament with no practical implications. I do think this election may be important when history looks back – there is just so much unrest around the world and the culture seems to become more and more divided on “social” issues by the minute. I just know I’ve been praying for our nation and our world a whole lot more than I ever thought I would. Well put, my friend. And thanks for the linky-link.